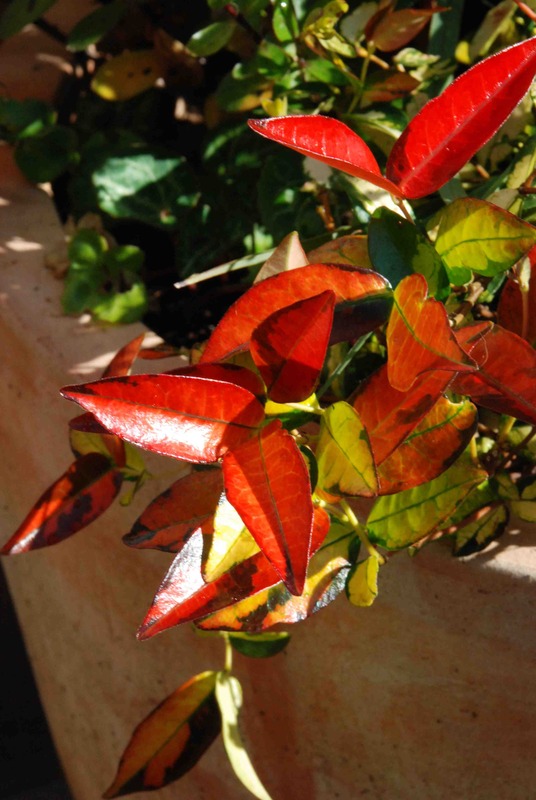 Last autumn, when I was desperate to find something interesting to put into some pots for winter I spotted some interesting variegated trachelospermum for sale and popped them in pots with other plants. They didn’t grow much, as I would have expected, but now that new growth is appearing, the gold-netted leaves have been joined by bright orange new growth. ‘Ogon Nishiki’ is Japanese for ‘gold brocade’ and this is a beautiful plant. It is usually sold as ground cover rather than a climber and labels state that it doesn’t flower though other sources say it does. I cannot see why it shouldn’t bloom though I can see that the flowers would not be very noticeable among the multi-coloured leaves! the flowers will be small, creamy, wheel-shaped and fragrant. The plain species is a vigorous twiner. I am going to experiment with it and try planting it as evergreen ground cover in a sunny spot and will let you know how I get on. Some sources say it should be used as a tender bedding plant but although not the hardiest climber it should be able to survive the average UK or Irish winter.